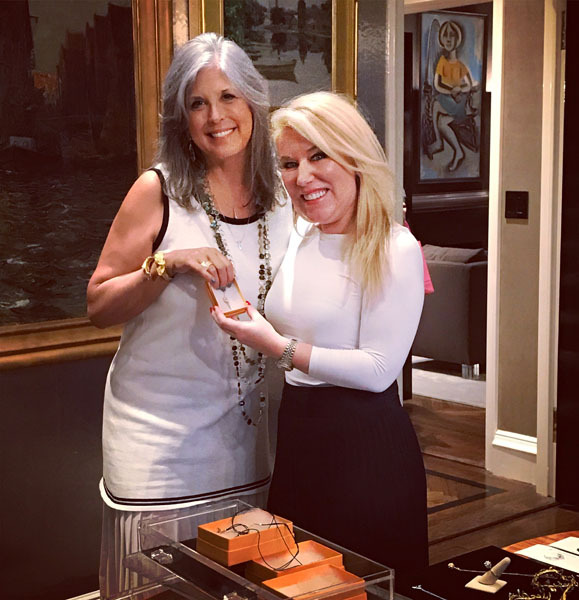 The who’s-who of the Tri-state shopped Joan Hornig jewelry, Aennis Eunis shoes, Riley Versa purses while eating decadent deserts by Royce and Lady M Cakes all to benefit City Harvest. 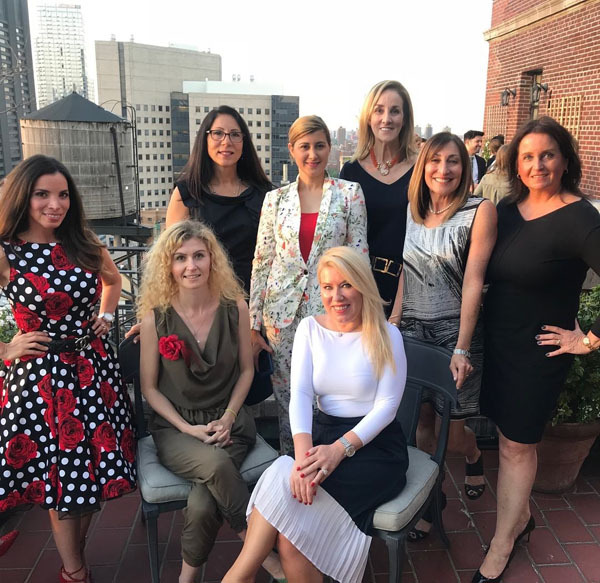 The Shopping Soiree benefit was co-hosted by Engie Hassan CEO EngieStyle, Elana Schoppmann, a leading real estate agent at Douglas Elliman, Karolina Dehnhard esq, Sarah Wragge, and Tracy Fink director of the Executive Women’s Forum. All vendors donated % of the sales to City Harvest. “It was an incredible honor to co-host this event. As a divorce attorney, I deal with families and children each and every day. The concept of families not having the ability to put food on the table should not exist. In our society of abundance, it is our obligation to come together to address this societal issue. It is important to have individuals such as Joan Hornig, whose philanthropic platform is known across the world, to champion such causes with other professionals in various sectors. Very meaningful to me and my platform was having the opportunity to speak with Joan about her iconic and symbolic piece of jewelry, coined #sawitthrough. Women going through life’s challenges, whether divorce or otherwise, appreciate that little token that reminds them of their strength. Joan has captured resiliency beautifully in this piece, which will become symbolic for each member of my Divorce Dynasty platform. together, we can make difference.” KAROLINA DEHNHARD, DIVORCE ATTORNEY AND FOUNDER OF DIVORCE DYNASTY.